by Dr. George Winslow Plummer. 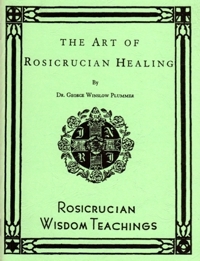 Part of the Rosicrucian Wisdom Teachings. Published in 1947, this little volume is a treasury of priceless information for those interested in metaphysical healing. Published in 1947, this little volume is a treasury of priceless information for those interested in metaphysical healing. It contains more practical information on this important subject than many a ponderous volume. Among the subjects treated: The natural and spiritual agen­cies of healing—Invisible spiritual helpers—Vitalic breathing—Method for testing your own status for vital healing force—Magnetic healing—Absent treatments—Conservation of your healing forces—Warning.